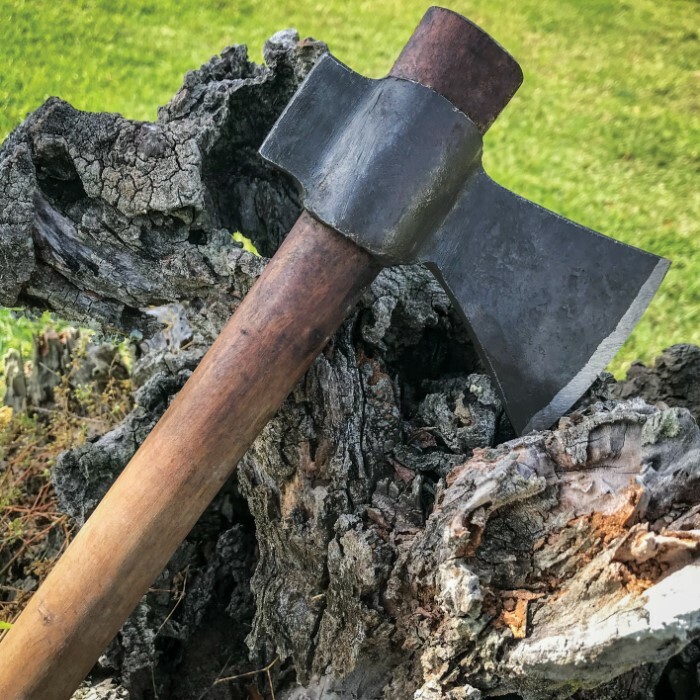 Hand-forged Wooden Handle Axe | BUDK.com - Knives & Swords At The Lowest Prices! Travel back in time with this hand-forged axe. 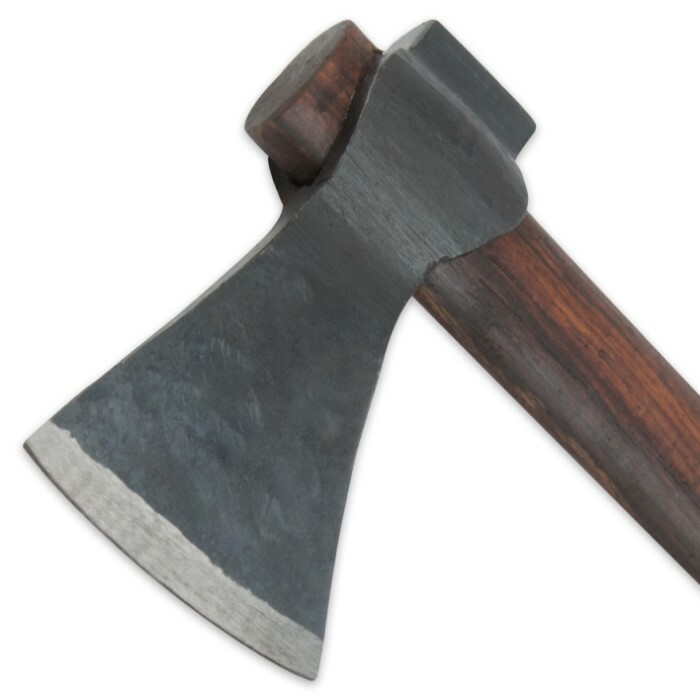 An axe like this would allow you to deliver heavy blows against your opponent, clad in the thickest armor! 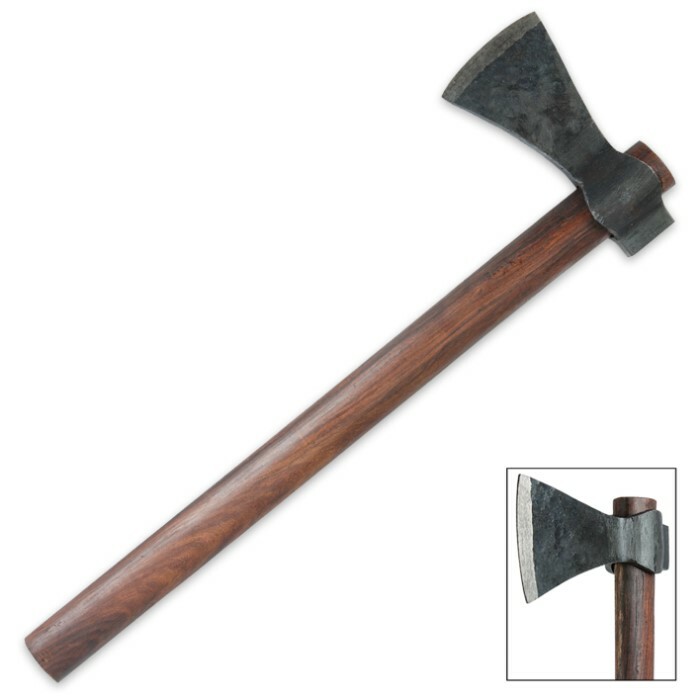 Crafted of one solid piece of iron that is 100% hand-forged, this axe also features a Sheesham wood handle. When you swing this iron monster, you can feel the power!